Here you will find a selection of golf properties (Frontline golf, being in a golf course area or golf resort) for sale in Marbella or any other place at the Costa del Sol. Exclusive Villa for sale, La Zagaleta, Benahavis - Marbella The owner does not want the photos of his property on the web, so please contact us for photos and more information. Newly built villa to buy, about 1.500m2 built on a +/- 6.000m2 plot. Breathtaking golf, mountain and sea views. The property is located in the most exclusive resort of Europe, La Zagaleta in the Benahavis - Marbella region at the Costa del Sol. La Zagaleta is a gated and most secure golf resort with numerous facilities, e.g. two 18-holes private golf courses, equestrian centre, fish pond, club house with restaurant, shop, pool and tennis area, heliport. Exclusive Villa to buy, La Zagaleta, Benahavis - Marbella The owner does not want the photos of his property on the web, so please contact us for photos and more information. Newly built villa for sale, about 1.400m2 built on a +/- 6.300m2 plot. Breathtaking golf, mountain and sea views. The property is located in the most exclusive resort of Europe, La Zagaleta in the Benahavis - Marbella region at the Costa del Sol. La Zagaleta is a gated and most secure golf resort with numerous facilities, e.g. two 18-holes private golf courses, equestrian centre, fish pond, club house with restaurant, shop, pool and tennis area, heliport. Tuscan styled new villa - mansion for sale, La Zagaleta, Marbella - Benahavis This luxurious villa is located in the most exclusive private Country Club in Europe, La Zagaleta in the Marbella - Benahavis area at the Costa del Sol in Southern Spain. This luxurious mansion was constructed with the finest quality materials and offers a luxury lifestyle. Set on a 4.484 m2 plot with south orientation and unobstructed panoramic views to the golf course, coast and sea up to Gibraltar and Africa. 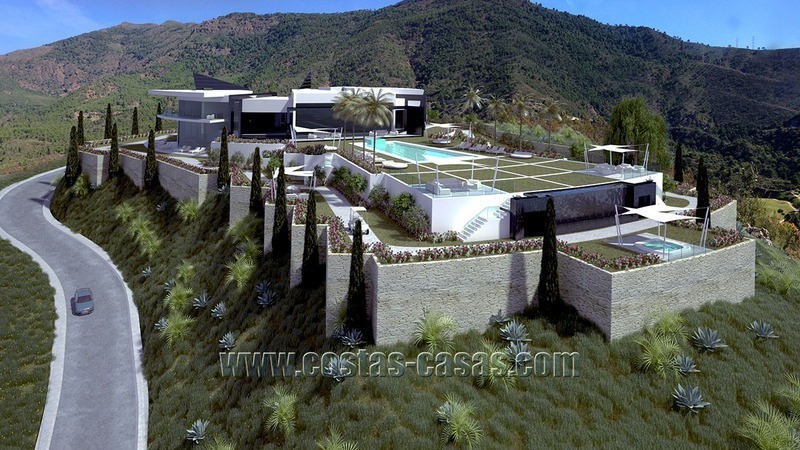 State Of The Art Designer Villa & Sea Views in La Zagaleta, Benahavis - Marbella This villa is located in one of the best areas of Benahavis – La Zagaleta. 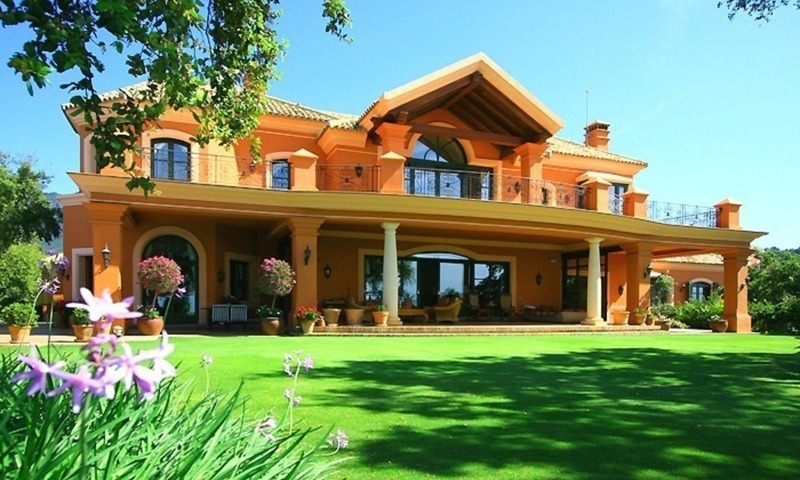 The location is raised above the famous Benahavis valley with absolutely commanding sea views. 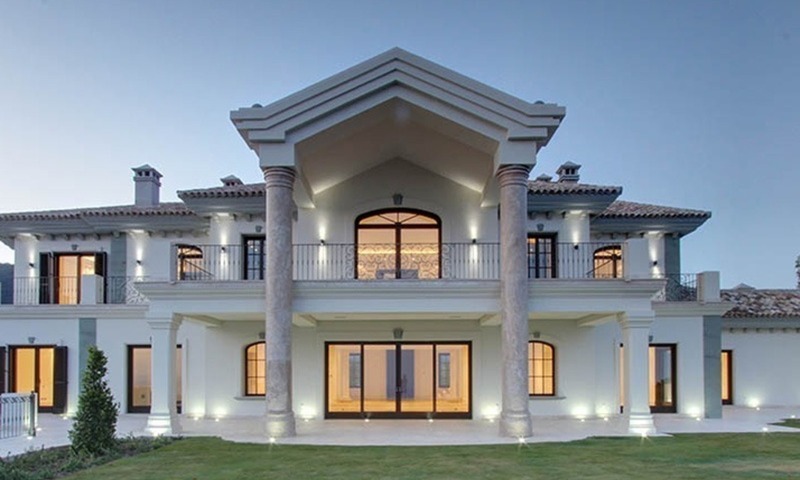 Recently constructed to exacting standards this villa is the epitome of luxury design.